If you’re in New York City this weekend, make time for Mocca. Mocca along with the Small Press Expo in San Francisco are absolutely the best conventions for finding strange things and strange people. Eat Your Spinach – Popeye’s comin’ back! 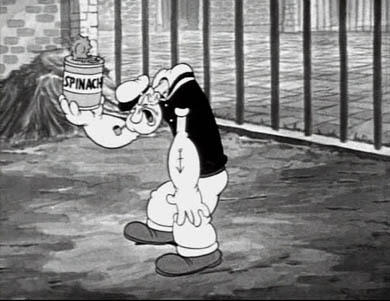 June 8, 2006 · Filed Under Classic Animation · Comments Off on Eat Your Spinach – Popeye’s comin’ back! Ah, spinach, it was the Viagra of the 1930s. 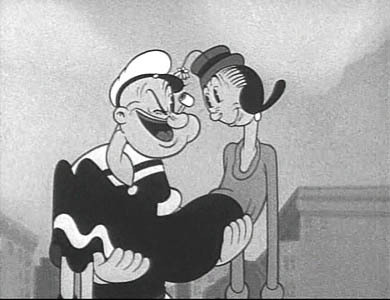 Fleischer and Famous Studios took Popeye from comic strip to theatrical cartoon. Various legal battles have kept vintage Popeye cartoons in the can, so to speak, but the parties involved have reached an agreement and Popeye will be available on DVD in 2007. Here’s the old sea salt getting ready to down a can of spinach. And, here’s Popeye after the spinach has worked its magic. UK comic Ricky Gervais is a busy man. He’s responsible for the television series “The Office” and “Extras”. He does radio, stand-up and pod-casts and recently he did “The Simpsons”. 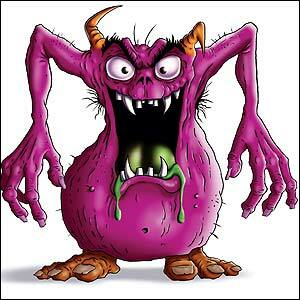 On the side, he’s created a series of playful monsters in his children’s books called “Flanimals“. 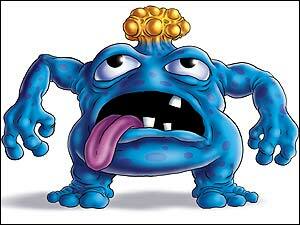 These creatures are about to become a new animated cartoon feature on ITV1 in the UK. Meet some of the Flanimals. 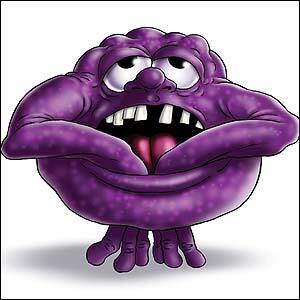 This is Plamgotis. 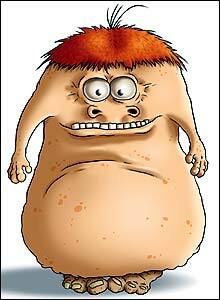 This lovely guy is Clunge Ambler. Needing a good dentist is Grundit. The Dimples team senses the beginning of a great cartoon as well as a massive action figure marketing empire. 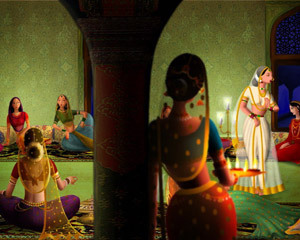 Gitanjali Rao graduated from art school in 1994 and went on to intern with Indian Animator Ram Mohan. 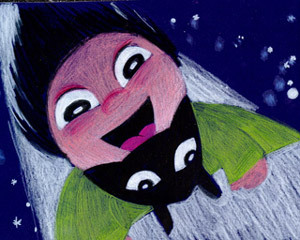 She wrote, drew, directed and produced a fifteen minute animated film, “Printed Rainbow”, that was selected in the short film category at Cannes in 2006. Rao’s first film was “Orange” which did not make it through the strict Indian censorship policies. The style of “Orange” is reflective of her day job creating animated commercials. This 15-minute short film is about a woman in Mumbai, who lives all alone with just a cat for company. “She is an avid collector of match box covers. This leads to a dream world where she does adventurous things. 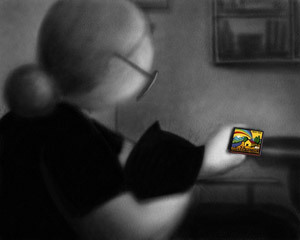 From one matchbox to another, she goes on weaving her adventures along with her cat. Finally she comes back to reality,” explains Gitanjali. 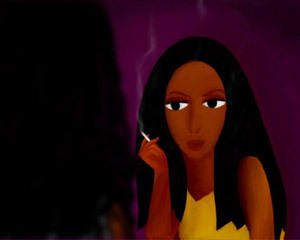 The film has no narration and is a visual rendition of the woman. “Each frame is painted. I had to do it myself because it’s experimental animation. I have shot the first part of the film in black and white to show the dreary existence of this woman. The rest of it is in a myriad of colours. I am so excited that it has been selected and that too for Cannes,” says Gitanjali. Observe the contrast in the image below from “Printed Rainbow” between the woman in black and white and the brightly colored matchbox. And, the bright world of the matchbox comes alive in this still from the movie. The Dimples team hasn’t seen this movie but we love the concept and the stills. We’re sure that there is much more to come from Gitanjali Rao. And, for a final tantalizing sample, here is a still from another short film, “Blue”.